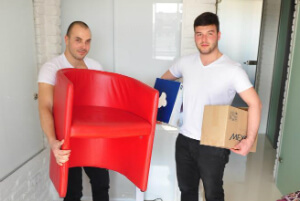 Commercial, Domestic Removals & Packing Greenwich SE | Quality Property Care Ltd.
Do you have to move out of your appartement extremely quickly and move into your new one as quickly as possible? Save time, effort and a lot of hassle by booking the professional removal services in Greenwich SE provided by Quality Property Care Ltd.. The experienced, trained and trustworthy personnel can help you with every stage of the moving out and moving in procedure, including: dismantling and disassembly of your furniture, packing, loading, transporting, unloading, installing and unpacking and assembling everything back in the new place. The company provides the perfect and most efficient removals services at the best competitive removals price in London. The removal company offers commercial & residential removals which you can count on. Save the energy and efforts and call the expert removals company on the phone line or contact them via the online web form, and you will receive a free quote for the service you want now! With huge experience in the industry our removals company Greenwich SE has succeeded to satisfy more than 15 000 clients up to right now. Quality Property Care Ltd. get 95% positive feedback for our expert removals services. You can become our next satisfied removals client. Please, note that regular customers get promotional deals. And if you order more than one service, you will be offered with a discount, too. Do not doubt to consult for additional removals services: hoisting of big things through windows, empty lofts, specialized piano moves, garages and basements. Get us your deadline day to move out and mention your specifications, so we can arrange expert removals in a most suitable for you way! Quality Property Care Ltd. has been offering the whole package of removals London for more than 15 years now. The ever-growing need of help for moving in and moving out, and for moving stuff in this chaotic city has taught the leaders to make investments in hiring dependable personnel, training them well and offering continuous quality control of their job at all times. Actually, now the company offers to deliver everywhere around Uk, as well as in the EU countries. The most important removal services provided by the company are: home removals, man and van collection & delivery / item pickup, office removals, commercial removals and art transportation. All services are absolutely insured and your personal belongings are taken care of at all times. Art and business furniture take additional care to be handled, that is why we have a unique service which handles both paintings, statues and works of art, and workplace equipment, pianos and so forth. To organise a right removal of office furniture, call us and request a appointment with one of our specialists. We’ll send a surveyor out who can decide the suitable amount of people and equipment we need in order to properly eliminate everything in one go. After that a quote will be given detailing the price, in which we include the hours, and resources needed to effectively move everything. Specific packaging elements can be delivered like electrostatic packaging for computer systems and electronics and so forth. For art pieces, paintings, statues and pianos we can arrange a premium removal van which ensures the risk-free move of any of your belongings. As a totally certified removals company we can guarantee safe, hassle free removals every time you give us a phone call. Dial 020 3746 4287 and book anytime you need us. We have a customer care desk available to all clients free of charge, simply call and ask any removals related questions and get a exact answer.